WANDERFULS Centerpieces are the wedding centerpiece of choice for experts wanting an alternative to the traditional wedding favor as well as the wedding centerpiece made of flowers, sweet 16 centerpieces, bar mitzvah favors and centerpieces, floral centerpieces and keepsakes. Through combining the elegant wedding favor with the wedding centerpiece the bridal, wedding and event planner can achieve thousands of unique color effects. 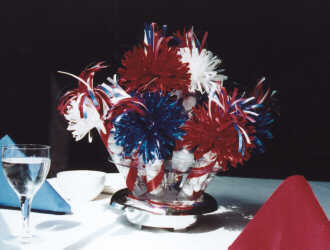 This site featuring Wanderfuls centerpieces contains authoritative information about Wanderfuls favors.